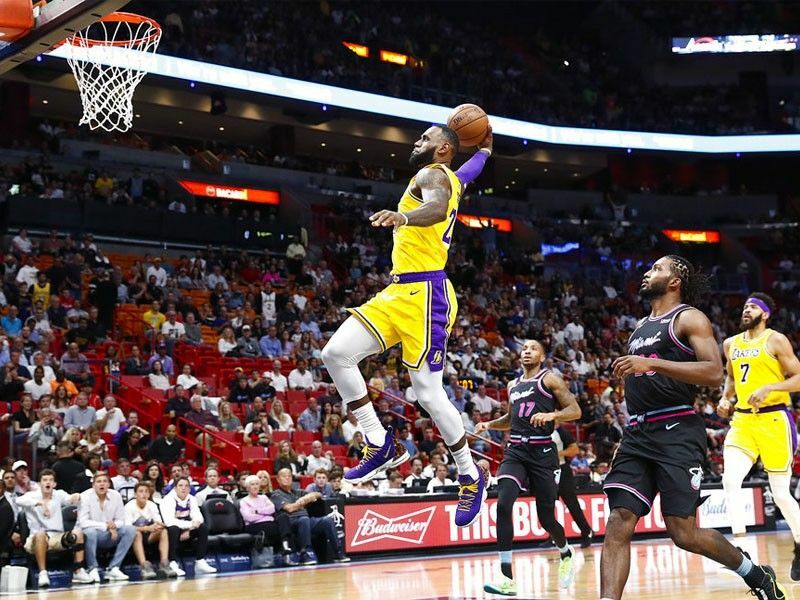 MANILA, Philippines – It's not unusual for LeBron James to jam in dunk highlights, but Foot Locker just took "poster dunk" to a whole new level. In an Instagram post by B/R Kicks, a video shows a James' poster inside a Foot Locker store seemingly come to life and dunk on an augmented reality basket. The dunk highlight comes courtesy of a Snapchat filter in partnership with Nike that would trigger the animation when a user points their camera at the poster. The animated James even celebrates the slam with his signature stomping move. Whether in real life or augmented reality, James' poster dunks surely entertain his fans.